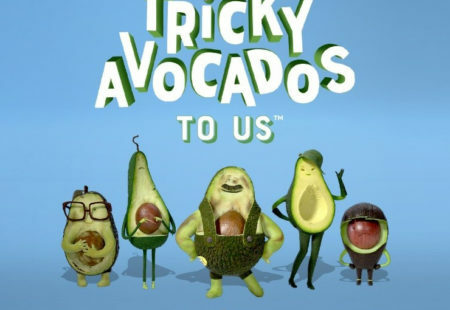 ORANGE, Calif. (July 19, 2018)—With avocado fans clamoring for more and more ways to enjoy their favorite fruit, the makers of the WHOLLY GUACAMOLE® brand dips invite avo-lovers to visit Guaclandia, its one-of-a-kind mobile exhibit dedicated to all things avocado. This photo-ready Instagram-able bus will bring the nation’s love for avocado to life through interactive activities, engaging photo ops and unlimited samples of America’s No. 1 refrigerated guacamole. 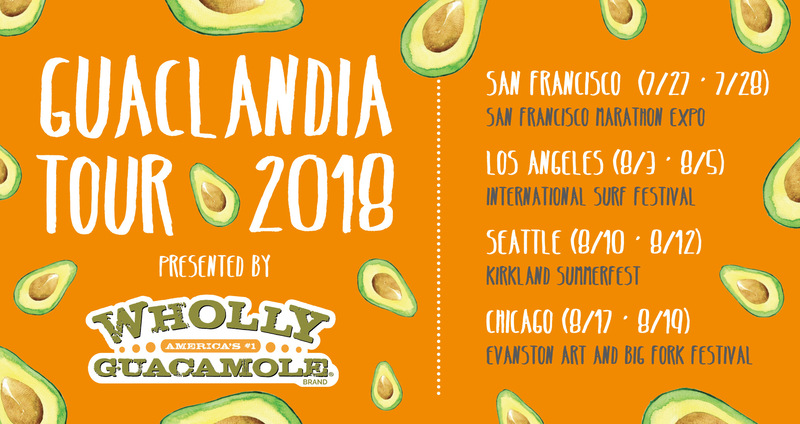 Guaclandia will make millennials and avocado lovers’ dreams come true, spreading real guac goodness and the brand’s “keepin’ it real” mentality throughout key cities in the U.S. this summer. The cities slated for the national tour include San Francisco (July 27–28), Los Angeles (August 3–5), Seattle (August 10-12) and Chicago (August 17–19). Visitors of Guaclandia will have the chance to take selfies at the pop art-style avocado wall, sit in the “pit” of a giant avocado chair, enjoy inspiring tips on “keepin’ it real”—just like WHOLLY GUACAMOLE® brand foods, and vie for a variety of prizes in a retro, avo-inspired arcade that includes a claw machine featuring avocado pool floats, pins, tote bags, pop sockets, dad hats and other branded swag. Plus, fans will exit Guaclandia by sliding into a jumbo ball pit! Guaclandia makes its debut as part of the national launch of the company’s portable and perfectly portioned WHOLLY GUACAMOLE® Snack Cups, a new and convenient way for people to enjoy the WHOLLY GUACAMOLE® brand they know and love while on the go. The new offering features its signature guacamole made from hand-scooped Hass avocados conveniently paired with just the right amount of crunchy tortilla chips. Visitors will have an opportunity to sample all three flavor-packed varieties of this great tasting, gluten-free snack – Classic, Spicy and Homestyle. Friday, July 27: noon–7 p.m.
Saturday, July 28: 9 a.m.–5 p.m.
Friday, August 3: 9 a.m.–6 p.m.
Saturday, August 4: 9 a.m.–6 p.m.
Sunday, August 5: 9 a.m.–5 p.m.
Friday, August 10: 3-7 p.m.
Saturday, August 11: 11 a.m.–7 p.m.
Sunday, August 12: 11 a.m.–6 p.m.
Friday, August 17: 4–7 p.m.
Saturday, August 18: 10 a.m.–7 p.m.
Sunday, August 19: 10 a.m.–5 p.m.